The French economy is diversified across all sectors. The government has partially or fully privatized many large companies, including Air France, France Telecom, Renault, and Thales. However, the government maintains a strong presence in some sectors, particularly power, public transport, and defense industries. Despite terrorist attacks, labor strikes, and bad weather, France is still the most visited country in the world with 83 million foreign tourists in 2016, including 530,000 who came for the 2016 Euro Cup. France's leaders remain committed to a capitalism in which they maintain social equity by means of laws, tax policies, and social spending that mitigate economic inequality. France's real GDP grew by 1.1% in 2016, down from 1.3% the year before. The unemployment rate (including overseas territories) increased from 7.8% in 2008 to 10.2% in 2015, before slightly falling to 10% in 2016. 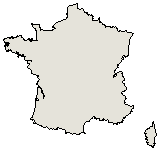 Youth unemployment in metropolitan France decreased from 24.6% in the fourth quarter of 2014 to 24% in the fourth quarter of 2016. Lower-than-expected growth and high spending have strained France's public finances. Despite measures to restore public finances since President Fran�ois HOLLANDE took office in 2012, the budget deficit rose from 3.3% of GDP in 2008 to 7.5% of GDP in 2009 before improving to 3.4% of GDP in 2016. Meanwhile, France's public debt rose from 89.5% of GDP in 2012 to 96% in 2016. President HOLLANDE’s policies have aimed to enhance French industry’s competitiveness and to lower high jobless figures. The Competitiveness and Employment Tax Credit of 2012, the Responsibility and Solidarity Pact of 2014, the Investment Stimulus Plan, and the Emergency Jobs Plan represent more than $42.6 billion in support for businesses in 2017 by lowering French labor costs, but so far the results of these policies have been marginal on France’s competitiveness and job creation. In an effort to bolster social justice, the 2017 budget bill contained provisions to reduce income taxes for households and for small and medium sized enterprises. During his mandate, President HOLLANDE oversaw two highly unpopular economic reforms that led to widespread protests. The “Macron Law” of 2015, enacted to boost economic growth, authorized businesses to open some Sundays of each month and allowed flexibility to negotiate pay and working hours. The “El Khomri law,” imposed by decree in 2016, aimed to make it easier for businesses to employ people and gave employers more leeway to negotiate hours, wages, and time off.